An ideal small tractor for many agricultural, commercial, public service and estate jobs. Built to handle tough tasks and strenuous working conditions. 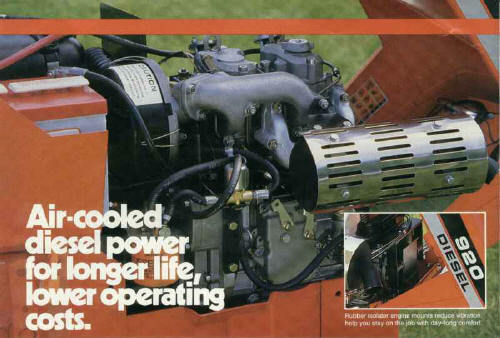 We™ve powered it with a muscular 18.5 HP Briggs & Stratton Lombardini air-cooled diesel. So you can expect longer life and more reliable performance, no matter how hard you work it. On all kinds of jobs. Summer, winter, spring or fall. Your operating expenses will be lower, too. Because the 920 is air-cooled, there™s no radiator, cooling fan, belts, pumps, or hoses. No winterizing costs. Bosch direct fuel injection means no spark plugs to foul up. And talk about fuel savings! Tests have shown the 920 can operate on as little as half the fuel of comparable horsepower gasoline-powered tractors! 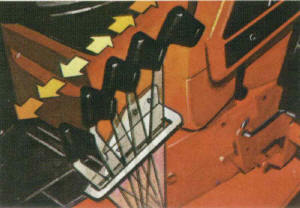 Easy starting, outstanding maneuverability. The 920™s Bosch-type fuel preheater and heavy-duty just the right combination and running, easily, all year-round. And you get in and out of tight spots where most tractors can™t, thanks to a tight 32 turning radius, 51 wheelbase and 37 overall width. Tough hydrostatic transmission. You never touch a clutch! Single-lever control handles forward/reverse direction changes smoothly, easily, with infinite ground speeds up to 7 mph. 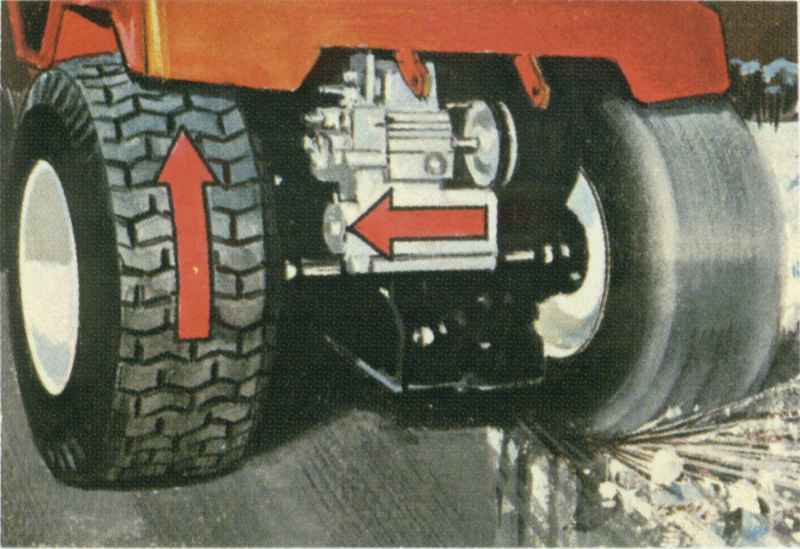 Controlled traction. Limited slip differential automatically shifts power from wheel with poor traction to the one with more”keeps you going over muddy, icy or slippery terrain. 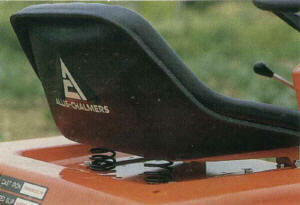 Spring suspended seat. Exclusive adjustable seat features high back and deep bucket design that conforms to torso to provide support and comfort Springs soak up bumps and vibration. Controlled traction. Limited slip differential automatically shifts power from wheel with poor traction to the one with more ” keeps you going over muddy, icy or slippery terrain. Convenient controls. Hydraulic implement lift saves muscle, provides outstanding operator convenience. 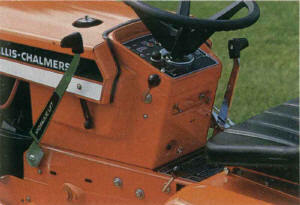 Like all 920 controls, it™s within close reach, yet out of the way so you can get on and off the tractor with ease.